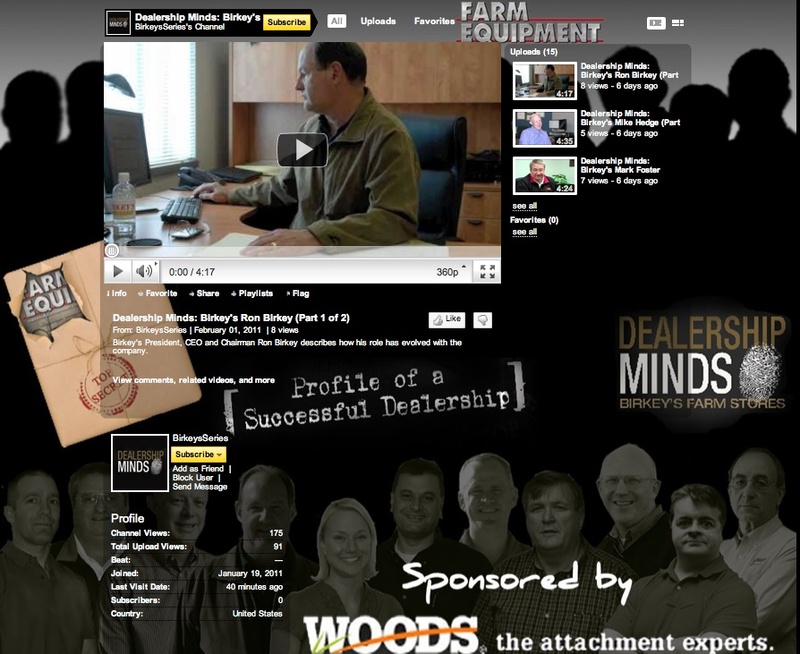 This unprecedented, 15-part "Dealership Minds: Profile of a Successful Dealership" video series from Farm Equipment takes you face-to-face with many of the key players inside the Birkey's Farm Stores. Learn first-hand about their challenges and successes on the road to being an industry leader. The video series is sponsored by Woods Equipment, headquartered in Oregon, Illinois, which manufactures top quality attachments and genuine replacement parts for the agricultural, landscape, and light construction markets. To watch the video series visit the links below or check out the entire series by clicking on the image below or visiting here.